were to be related or distinguished. as it covers the board without repeating. which is both interesting and wrong. at least up to ten crossings. after undoing any nugatory crossings. from a loop of string. and let me take the string from you. it is not permissible to cut it. is a desire to obey the rules. 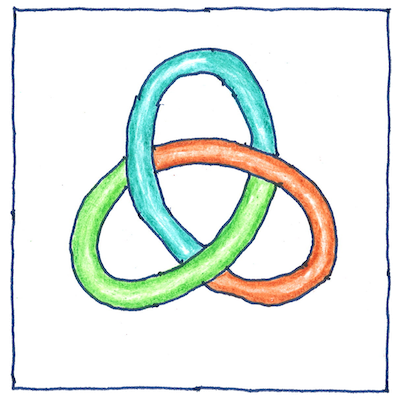 At first evolving separately, knot theory eventually became part of topology, but I must say that it seems a lot more fun working knots than solving problems in topology.